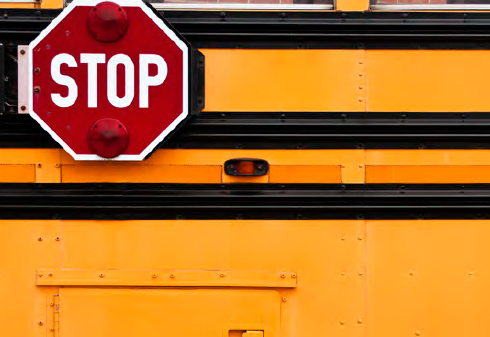 Low pay and other issues have led to critical shortages of bus drivers and substitute teachers in school districts across the state. And at the college level, the exponential growth in adjunct or contingent faculty, plus rising workloads, falling benefits, and declining wages have led to challenges attracting and keeping both part-time and tenure-track faculty. A lack of bus drivers led to last-minute route cancellations last fall in Ann Arbor, leaving parents scrambling to arrange rides. In Muskegon, where a November job fair was held to bring out candidates for bus driving jobs, fewer drivers means consolidated routes and longer rides to and from school for students. Causes for the shortage of drivers include low pay—generally between $13 and $20 per hour—and unpaid time off during school breaks in the year. In addition, as more school districts privatize transportation services, drivers lose modest health and pension benefits. The roster of drivers is currently full at Benzie County Central Schools, where a recent privatization study showed the cost savings would not outweigh the headaches of contracting transportation services to a private company, said Marc Rosseels, president of the local union. Rosseels, who works 40 hours per week when school is in session, said driving generally appeals to people looking for a modest boost to their retirement or as a second income, but the work is not for everyone and those holding a Commercial Driver License have other options. “There’s a lot more to it than just driving a bus down the road,” Rosseels said. Rosseels drives 134 miles per day across four counties, sometimes in challenging northwest Michigan weather conditions. All the while he’s supervising children in the seats behind him through the giant rearview mirror above the windshield, and he’s stopping to let more students climb aboard—offering a smiling “Good morning” to every single one. “If you don’t like kids, it’s not the job for you,” he said. Low pay also factors into a shortage of substitute teachers, along with fewer numbers of young people entering the teaching profession in general, which leads to daily struggles to cover absent teachers. Strategies include having administrators fill in, or asking other teachers in the building to give up prep time to staff an unfilled absence. Colleges are not immune to similar pressures, as state funding for higher education has dropped 30 percent since 2002. It seems every day the faculty at Lansing Community College hear about a colleague who’s leaving for greener pastures, and early and mid-career instructors and professors who remain debate about whether to stay or go, said Sally Pierce, president of LCC-MAHE. “The decline is about a work environment where we are asked to do more with no-more pay, about declining wages being driven down by the hard-cap insurance choice our board made, and the increased costs of retirement contributions mandated by the state,” she said. In addition, colleges nationwide are increasing their reliance on part-time faculty known as adjuncts—who are paid for each class they teach and receive no health benefits or job security. More than half of college faculty across the country are now adjuncts, but the turnover is great, as talented instructors take better-paying and more stable jobs in industry. Meanwhile, a dwindling number of full-time faculty shoulder the burden of running academic departments in addition to carrying full teaching loads.